No Bones About It! Toby is a Media Hound! 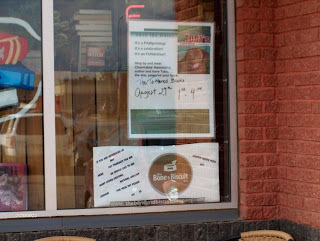 Friday August 27, 2010 at 11:00 am KAOS Radio in Fort McMurray interviews Charmaine about the upcoming PAWprinting/Book Signing and SPCA Fundraiser (Aug 29 1-4 Fort McMurray at the Tattered Book & Coffee Shop). SUNDAY, SEPTEMBER 18 - 2nd Dog Jog-a-Thon! Not only raising funds for a great cause--Vets Without Borders--this will be a celebration for three special occasions. And, Kaytie at K9 Awareness has contacted the Guiness Book of Records to ask them to record the event too! Keep your ears perked for more information coming soon!! 5 Stars Not your everyday dog book.
" I loved the surprises, the life lessons and the humility that this beautiful book offered. If you have a dog, know a dog or love a dog, you will love this book, too!" 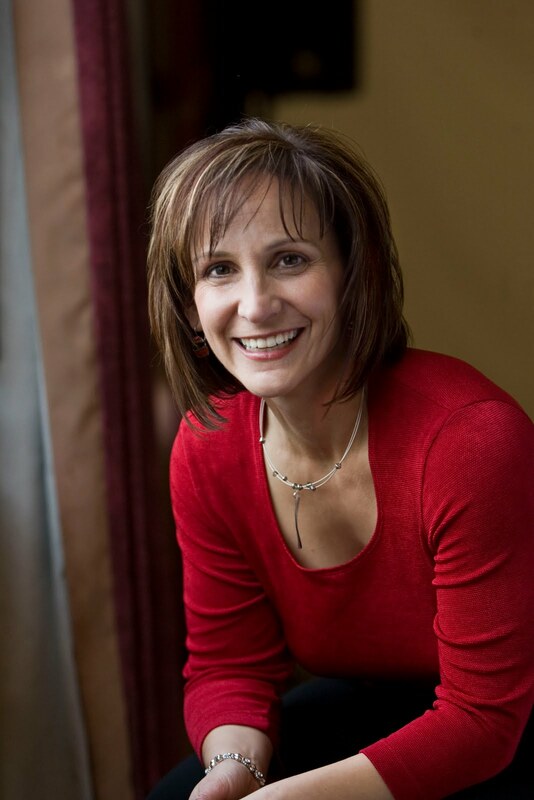 Chief Enrichment Officer at Your Life, Unlimited Speaking and Coaching Services, Stephanie seeks to refresh, reinspire and re energize teams to bring their best to their life and livelihood. It’s a PAWprinting, a Celebration and FUNdraiser! 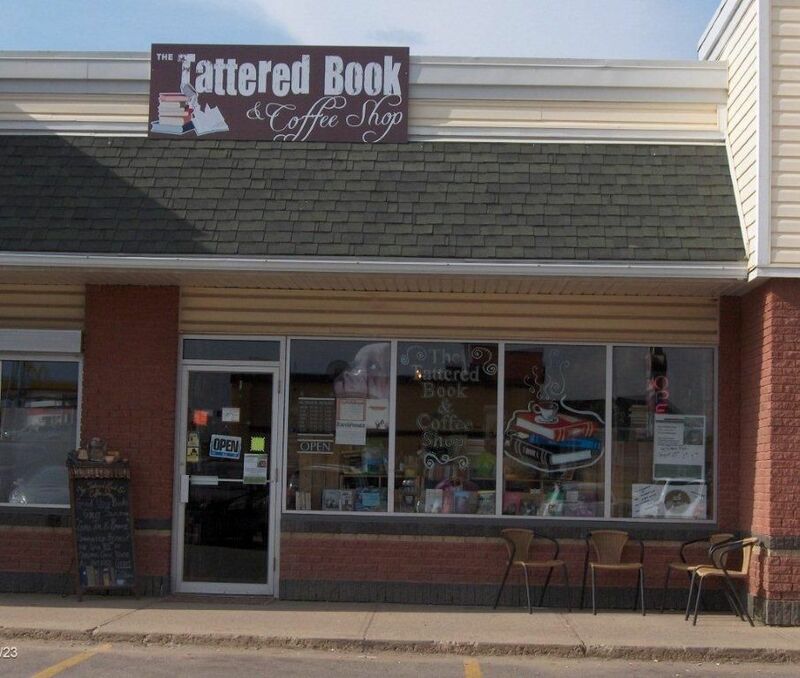 Four PAWS Up to the Tattered Book & Coffee Shop in Fort McMurray! They are hosting the Fort McMurray launch of my book On Toby’s Terms on Sunday August 29, 2010 1:00-4:00 p.m. the best part is that we have turned this into a FUNdraiser for the Fort McMurray SPCA. Thanks to our sponsors: the Tattered Book & Coffee Shop, The Bone and Biscuit, Your Perfect Fit, Sobeys (Thickwood), Fort McMurray Connect paper. I’m going to be on the radio! Chamaine is going to be talking about my book on the radio next week! On August 18 with Joanie Winberg and Tina Dame are interviewing her. Check this out! 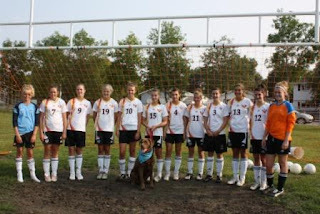 This week I had the pleasure of having my team photo with the soccer team I sponsor. What a talented and committed group of young soccer players. I look forward to cheering them on at games, although the soccer balls are a big distraction for me. I had a great time on August 6, at the K9 Awareness Centre in St. Albert. 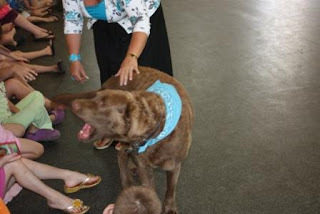 I was a guest presenter on Dogs With Jobs. My mom, Charmaine, talked about my volunteer job at the hospital and told the kids about my likes, my special skills and favorite games. I got to do a run on the treadmill after my presentation and visiting with the children that were in the program. What a great day! You probably read my earlier blogs and know that I have learned how to put on my own seat belt. That’s old news now. Well folks, I have discovered the most intriguing thing to do with a seat belt. And probably an annoying way to bug Charmaine and Chris in the car. Let’s face it… I get bored. There is no fetch playing, no games, and no fun in the car. So I invented some of my own. I sneak my head between the car door and seat and get my head under the shoulder seat belt. Now here’s my fun begins. Then I pull my head back, which brings the seatbelt with it. It did get their immediate attention, but landed me in the doghouse. We’ll see what I come up with next time. 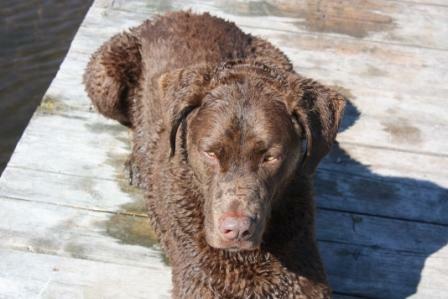 I love my time at the cottage- everything I enjoy is there- my family, my BFF Lauren, water, birds, and the floating Kong. My days are spent lazing in the sun, frolicking in the water, and burying my Kong in the sand and digging it up again. My evenings are spent laying by the fire, and then sleeping soundly to be rested enough to repeat it all the next day. This weekend was so full of activity and heat that I slept right through fireworks that people were setting off across the lake. This was a big breakthrough because I am typically terrified of loud noises, including thunder and firecrackers. I know some of you are very surprised at this because I am a big dog, but we all have something that gets under our skin or that makes us nervous. Sometimes distraction (in my case a good long snooze) can be a good strategy in dealing with fear. I know that when Charmaine and Chris distract me with a game of fetch or hide and seek when it is thundering, it takes my mind off the fear and thunder.